IPCC Fifth Assessment Report on the physical science of climate change was released on the 27th of September 2013. In that report the evidence for human influence on the climate system is presented. Human influence has been detected in the major assessed components of the climate system. The combined evidence increases the level of confidence in the attribution of observed climate change, and reduces the uncertainties associated with assessment based on a single climate variable. From this combined evidence it is virtually certain that human influence has warmed the global climate system and that for some variables the human influence is extremely likely more than half the observed changes. Human influence has been identified in changes in temperature near the surface of the earth, in the atmosphere and in the oceans, as well as changes in the cryosphere, the water cycle and some extremes. The alternative explanation for the observed changes for the period since 1950 was also assessed. It was concluded that there is strong evidence that excludes solar forcing, volcanoes, and internal variability as the strongest drivers of warming since 1950. This talk will also address some of the remaining gaps in our understanding of the human influence in the climate system. 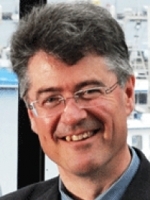 Nathan Bindoff is Professor of Physical Oceanography at the University of Tasmania, and CSIRO Marine Research Laboratories, Climate Change and Ocean Processes program leader, Project Leader of the Antarctic Cooperative Research Centre’s Climate Futures Program and in the ARC Centre of Excellence in Climate System Science. Nathan is a physical oceanographer, specializing in ocean climate and the earth’s climate system., with a focus on understanding the causes of change in the oceans. He was the coordinating lead author for the ocean chapter in the Inter-Governmental Panel on Climate Change Fourth Assessment Report and Fifth Assessment reports. Nathan and colleagues documented some of the first evidence for changes in the oceans in the Indian, North Pacific, South Pacific and Southern Ocean’s and the first evidence of changes in the Earths hydrological cycle from ocean salinity. His most recent work is on documenting the decline in oxygen content of the oceans and lead the Climate Futures of Tasmania project that examined the consequences for climate change on Tasmania climate, agricultures, hydrology and extremes. He has also worked in the Antarctic, determined the total production of Adelie Land Bottom Water formation and its contribution Antarctic Bottom Water Formation and its circulation. He contributed to the Inter-Governmental Panel for Climate Change winning the Noble Peace Prize in 2007, shared with Al Gore, and is now a coordinating lead author of the Detection and Attribution chapter in the Fifth Assessment Report for the IPCC. He has published 85 peer reviewed papers and 42 reports.